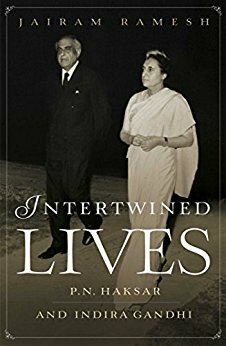 This is the first definitive biography of arguably India’s most influential and powerful civil servant: P.N. Haksar, Indira Gandhi’s alter ego during her period of glory. Educated in the sciences and trained in law, Haksar was a diplomat by profession and a communist-turned-democratic socialist by conviction. He had known Indira Gandhi from their student days in London in the late-1930s, even though family links predated this friendship. 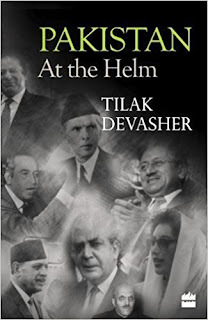 They kept in touch, and in May 1967, she plucked him out of his diplomatic career and appointed him secretary in the prime minister’s Secretariat. This is when he emerged as her ideological beacon and moral compass, playing a pivotal role in her much-heralded achievements including the nationalization of banks, abolition of privy purses and princely privileges, the Indo-Soviet Treaty, the creation of Bangladesh, rapprochement with Sheikh Abdullah, the Simla and New Delhi Agreements with Pakistan, the emergence of the country as an agricultural, space and nuclear power and, later, the integration of Sikkim with India. This power and influence notwithstanding, Haksar chose to walk away from Indira Gandhi in January 1973. 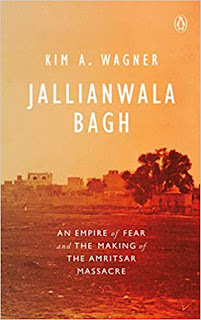 She, however, persuaded him to soon return, first as her special envoy and later as deputy chairman of the Planning Commission where he left his distinctive imprint. Exiting government once and for all in May 1977, he then continued to be associated with a number of academic institutions and became the patron for various national causes like protecting India’s secular traditions, propagating of a scientific temper, strengthening the public sector and deepening technological self-reliance. Successive prime ministers sought his counsel and in May 1987, he initiated the reconstruction of India’s relations with China. He remained an unrepentant Marxist and one of India’s most respected elder statesman and leading public figures till his death in November 1998. Drawing on Haksar’s extensive archives of official papers, memos, notes and letters, Jairam Ramesh presents a compelling chronicle of the life and times of a truly remarkable personality who decisively shaped the nation’s political and economic history in the 1960s and 1970s that continues to have relevance for today’s India as well. Written in Ramesh’s inimitable style, this work of formidable scholarship brings to life a man who is fast becoming a victim of collective amnesia. Jairam Ramesh is a member of Parliament since 2004 and has been a union minister between 2006 and 2014. He is the author of a number of acclaimed works including Indira Gandhi: A Life in Nature (2017), Old History, New Geography: Bifurcating Andhra Pradesh (2016), To the Brink and Back: India's 1991 Story (2015), Legislating for Justice: The 2013 Land Acquisition Law (2015), Green Signals: Ecology, Growth and Democracy in India (2015), Making Sense of Chindia: Reflections on China and India (2005) and others. Before becoming a politician, he worked in various capacities in the Government of India including the Prime Minister’s Office, Ministry of Finance, Planning Commission and Ministry of Industry.